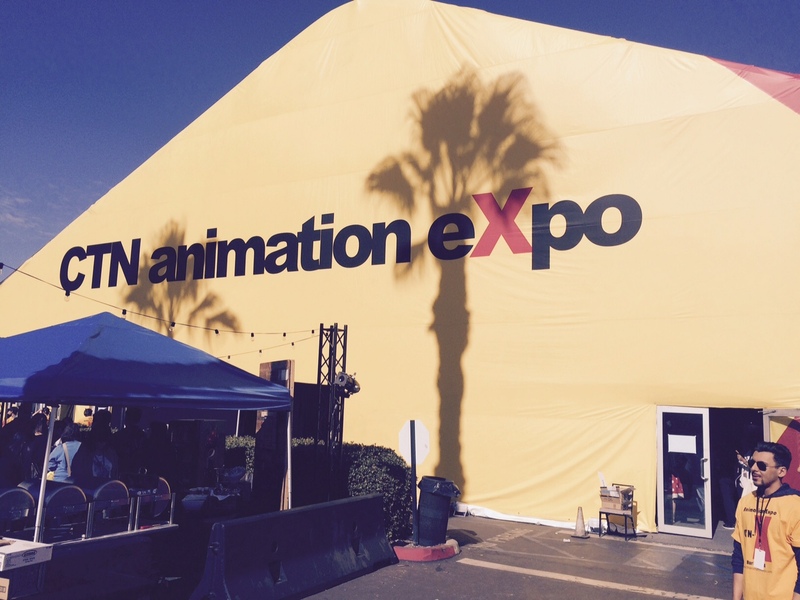 CTN animation expo was so big this year, it takes two blog posts to describe it all and so, here is part 2. 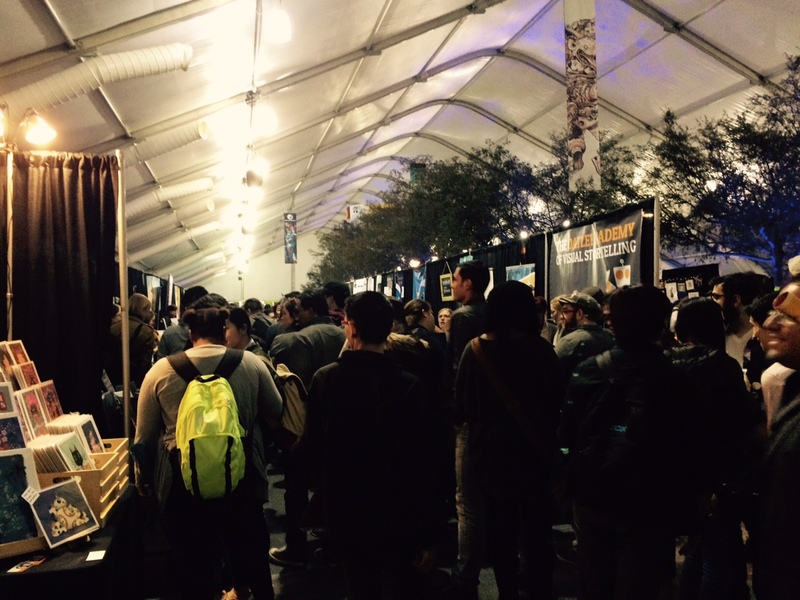 When I first heard that the exhibit floor would be housed in a tent in the parking lot, I was worried. They had a small tent last year which housed a second part of the exhibit floor, since the main exhibitor floor has packed. The tent became very hot inside due to the warm weather and all the extra people. A lot of exhibitors were sweating and some even had small fans going to fight the heat. I am happy to report that this year's CTN's exhibitor floor fit nicely into a hugh air conditioned tent in the parking lot. They even included the parking lot trees into the interior design, added lights to add to the very creative environment inside. The weather was cool and comfortably, but Sunday there was rain and there were a few leaks overhead inside the tent which caused the lights to be turned off. But even without interior lighting, the convention went on and the dusk like interior added to the atmosphere of the expo. While the lights were on, we managed to meet up with old friends and fellow colleagues who we had met before. I got the opportunity to stand between the Twin Towers of Animation, Tom and Tony Bancroft! And then, I ran into Lenord Robinson, who I met when working on "Meet the Patels". 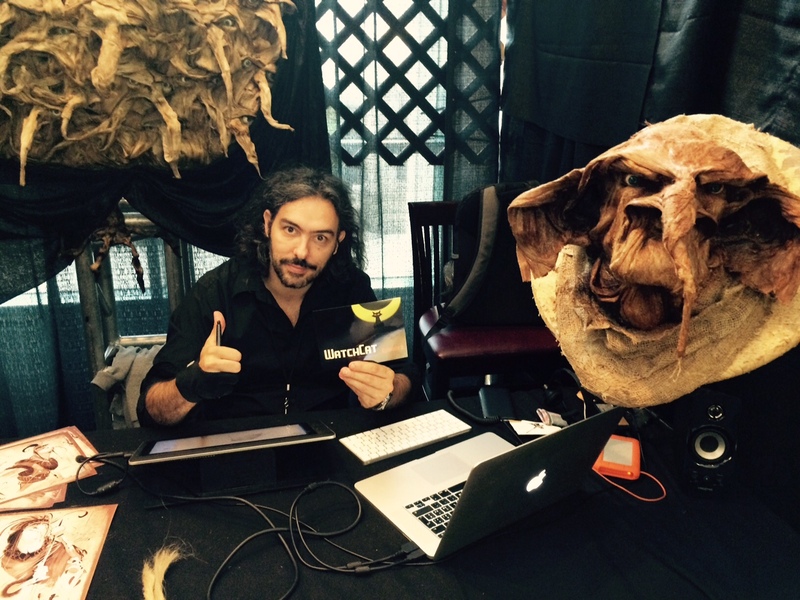 We met this new guy, Max Narcisco, who was busy designing characters and had a very interesting booth full of his creations. And of course, James Lopez, the creator of "Hullabaloo". 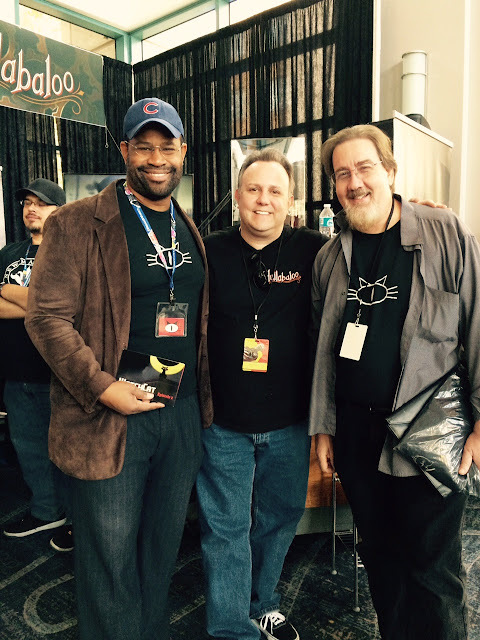 Next year, you may be seeing the release of the first Steampunk animated series! The nice thing about this expo is that it is made to network and a place to meet your favorite animation artists and heroes. It not like Comicon, but rather a place to find new work opportunities and meet new people. Hopefully, we will run into you there next year! 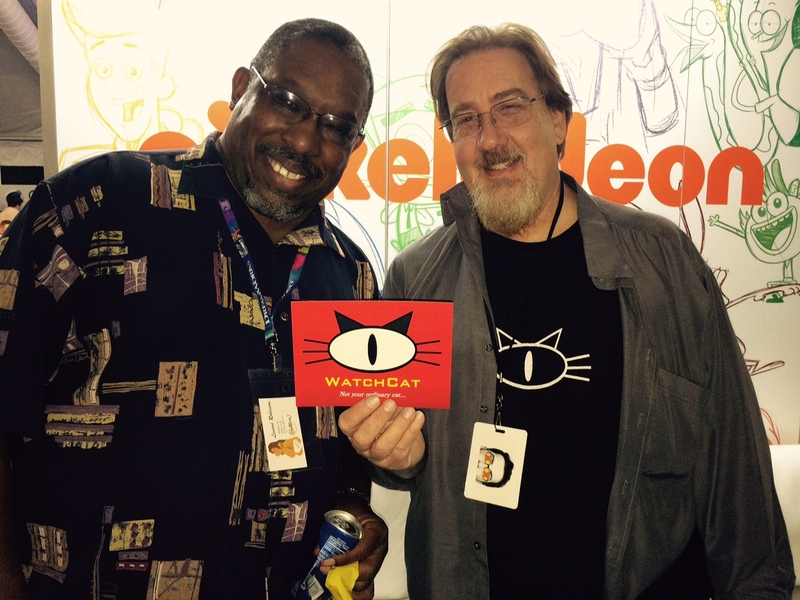 Did I mention Watchcat 02 is done and we are working on something new. 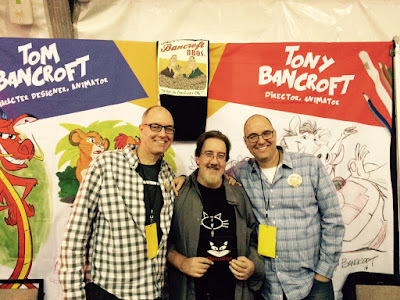 Labels: #animateducated, ctn animation expo, James Lopez, the brancroft bros.